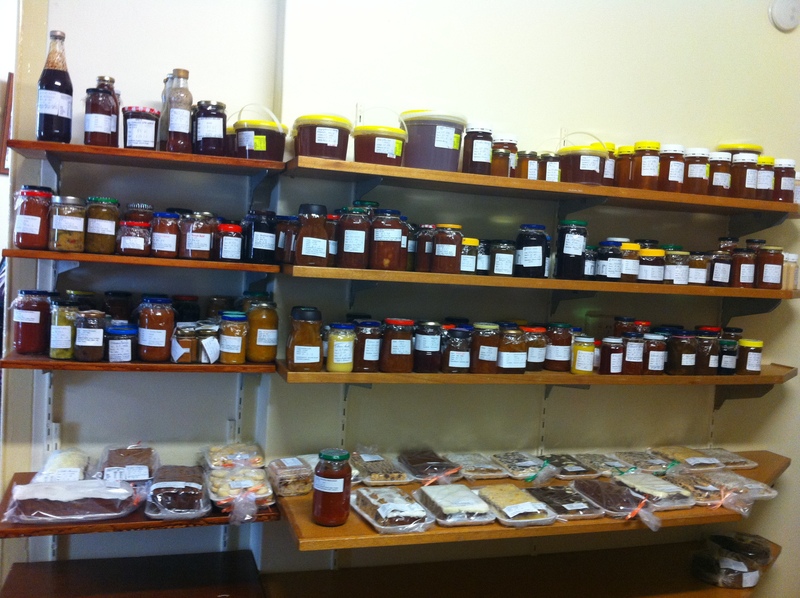 Local Harvest Challenge 2013 – Day 6 & 7 | The Farm Gate by Nashdale Fruit Co.
As most of you are aware, the weekends for us are market time. So we are either at the markets selling to our many amazing customers or recuperating somewhere not far away getting ready for the next day. They are a bit of a crazy time for us and we do not do a lot of our own food prep during these times. 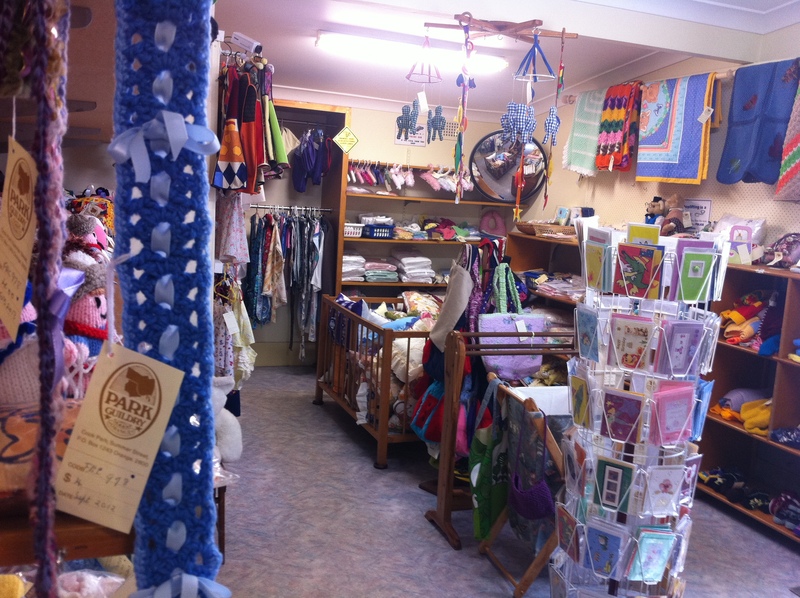 However we do support the local economy (other market stalls, cafes, pubs and restaurants) while away from home. Part of The Farm Gate family were left locally this weekend however and even though we did not cook any amazing meals we did spend some time supporting our local community and local businesses. Brunch for the day was porridge made from the oats that Lucas from CPH had rolled for us earlier in the week. 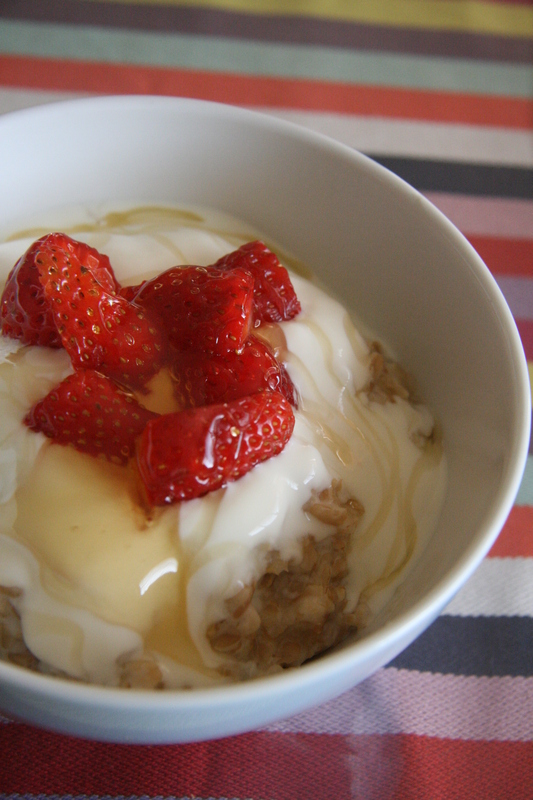 We served it with local honey, yoghurt and left over fruit from our fruit and veggie box. 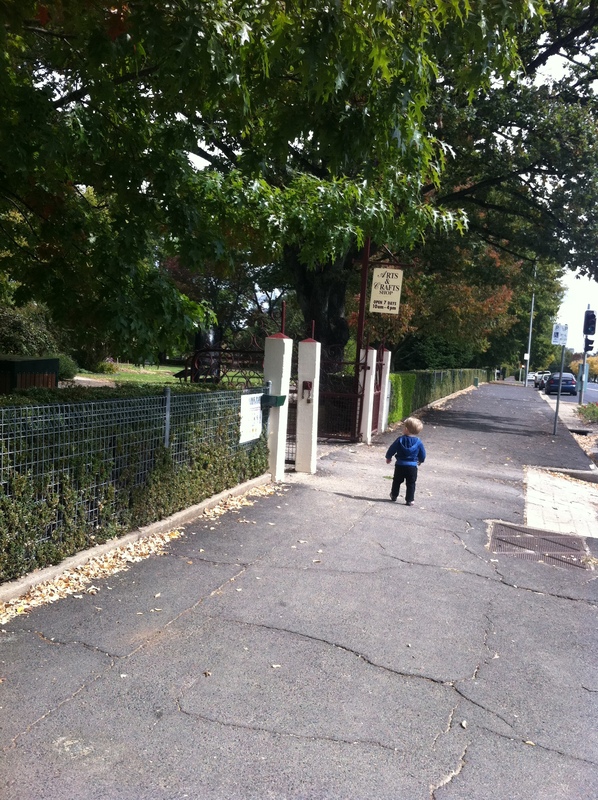 We then spent the morning at one of our favourite places, Cook Park. 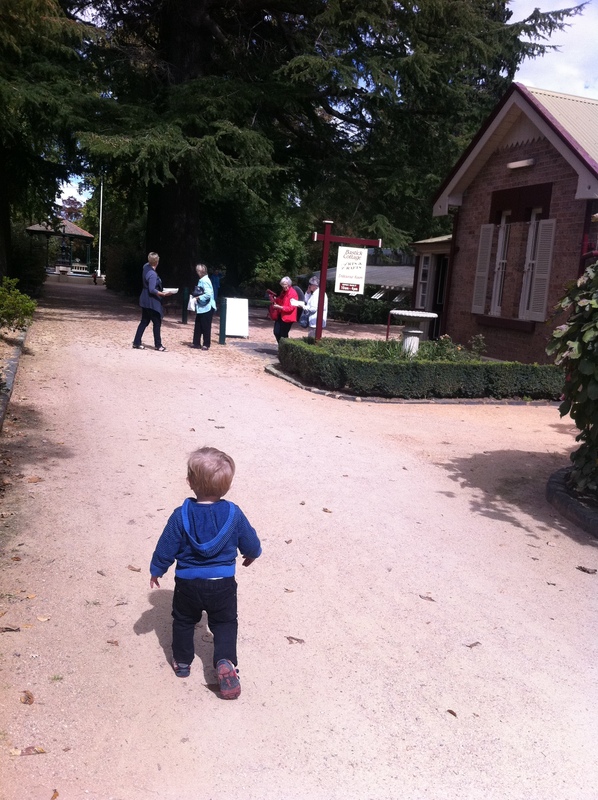 Probably the most gorgeous park in Orange and a perfect place for people of all ages. Not only are their beautifully kept grounds and gardens but there are duck ponds, play equipment, picnic benches, garden pavilions and my favourite place The Guildry Art and Craft Cottage. The cottage is just in front of the main gate off Summer Street and houses some amazing locally homemade arts, crafts, preserves, slices and cakes! Most of our visiting out-of-town friends and family call it the ‘CWA Place’ which I guess is a good name for it. 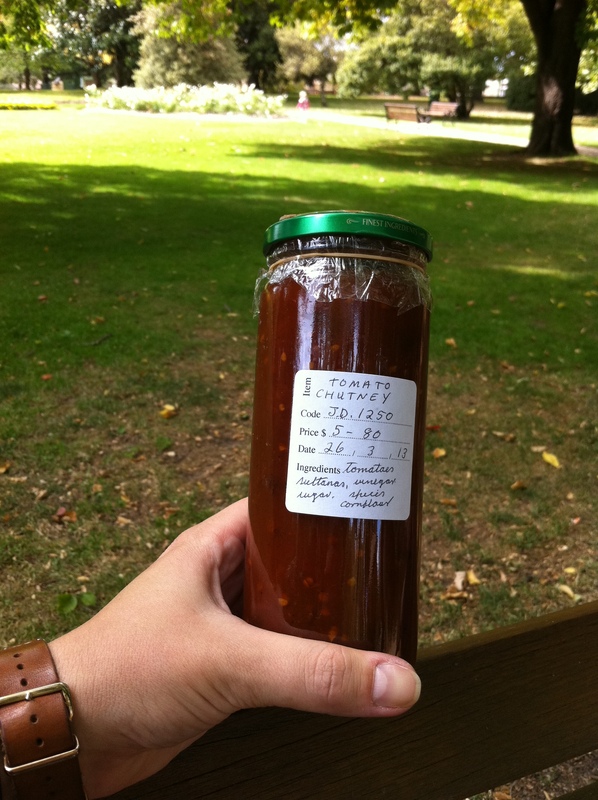 This trip we came away with a bottle of Tomato Chutney and a plate of Melting Moments which do not last long in our house with a hungry farmer and 2-year-old. We also visited Racine Bakery that afternoon and picked up a spelt sourdough to get us through the weekend and a couple of Venison (Mandagery Creek) pies for our late lunch/dinner. Unfortunately my photos did not come out for some reason. 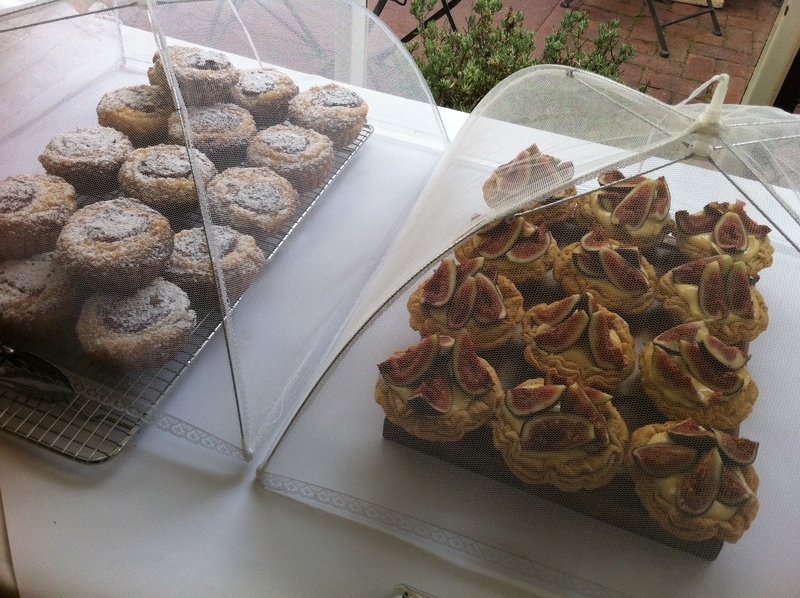 You will just have to go and buy one yourself for a taste and look :). Daylight savings had us up early for the last day of our challenge. 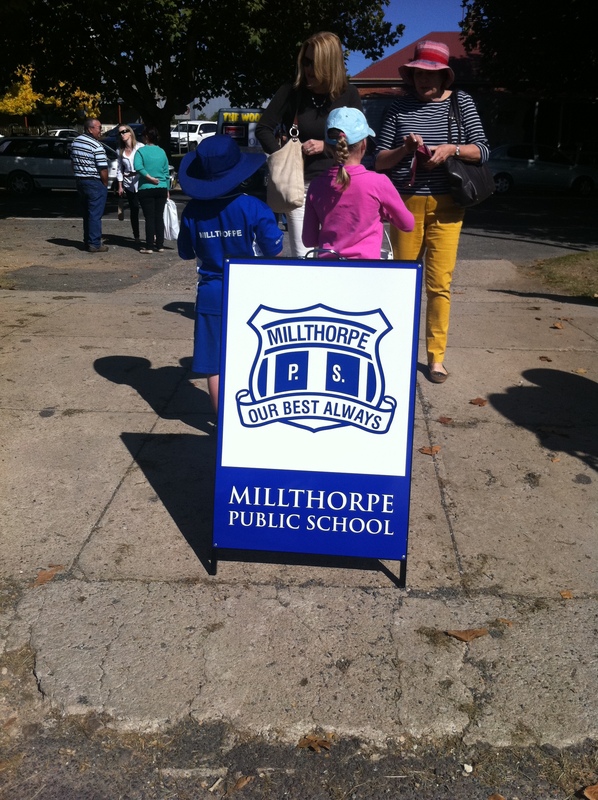 We made our way out to the lovely Milthorpe village, about a 15min drive out of Orange (Sydney side). 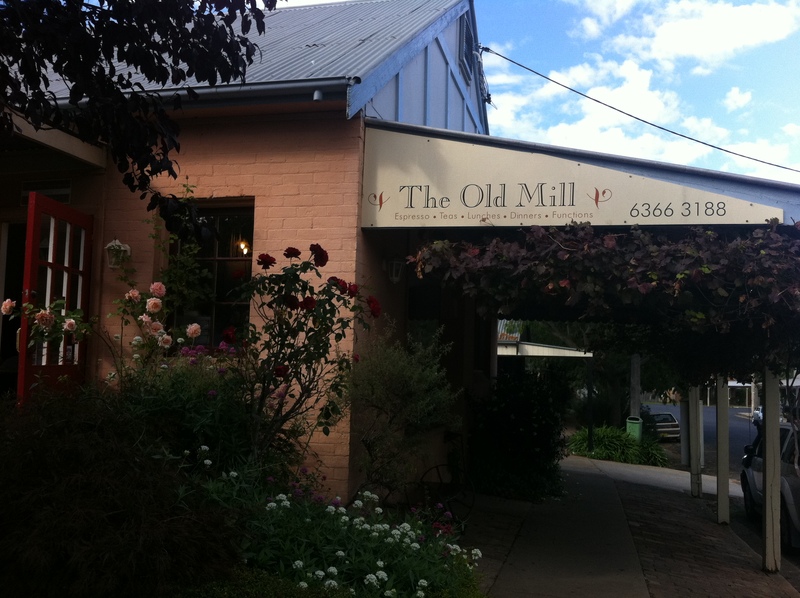 Breakfast was at one of our favourite cafes there, The Old Mill. 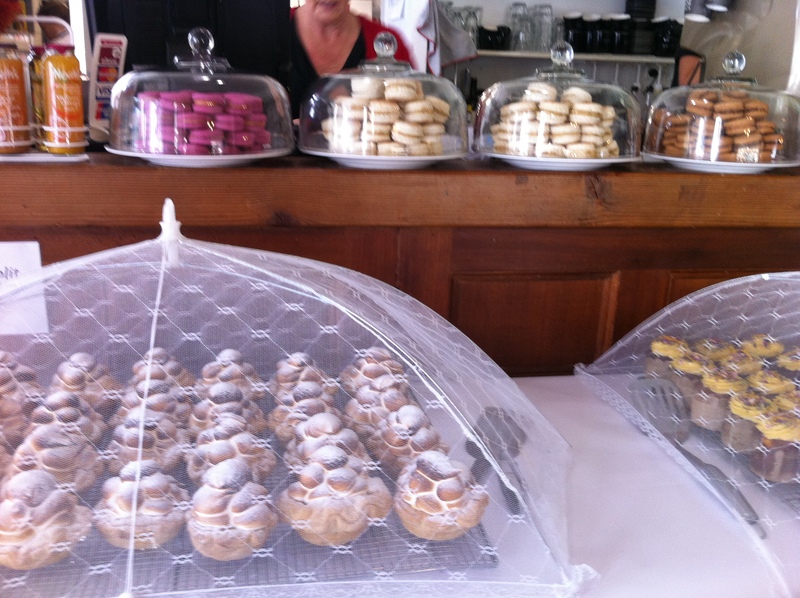 Not only do they serve incredible tasting food and service but they have tables full of scrumptious cakes, macaroons, tarts and take away cookies and honeycomb. 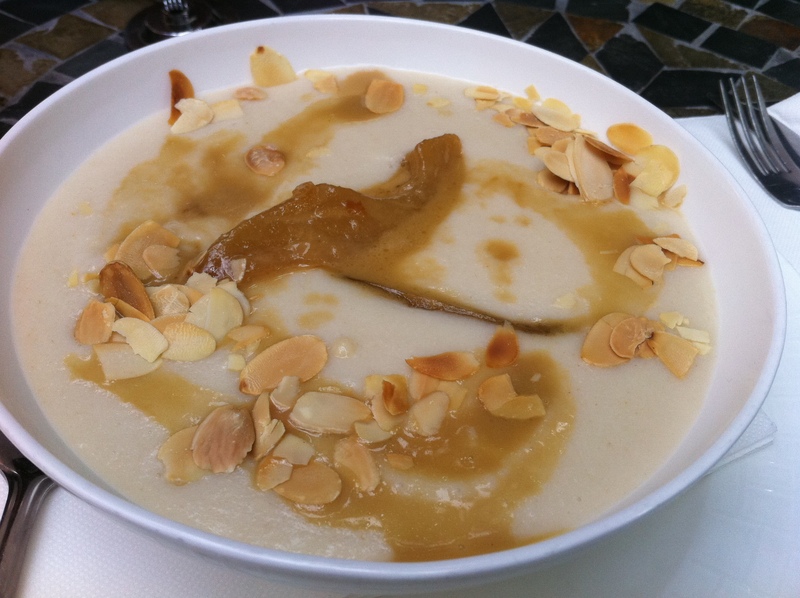 We shared the Semolina porridge with roasted caramalised apples and almonds. It was a taste sensation. YUM. 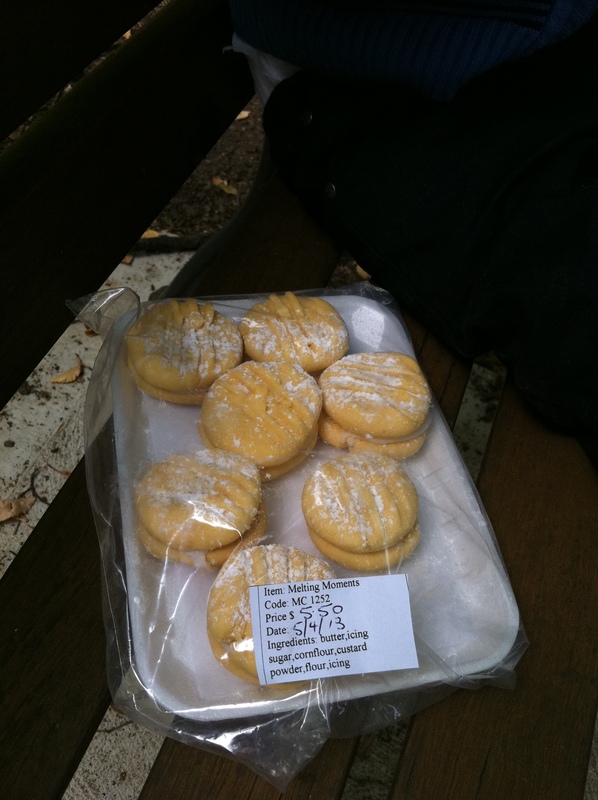 We also took away a couple of macaroons but they did not even last passed the front facade before Mr 2yr old attacked them. 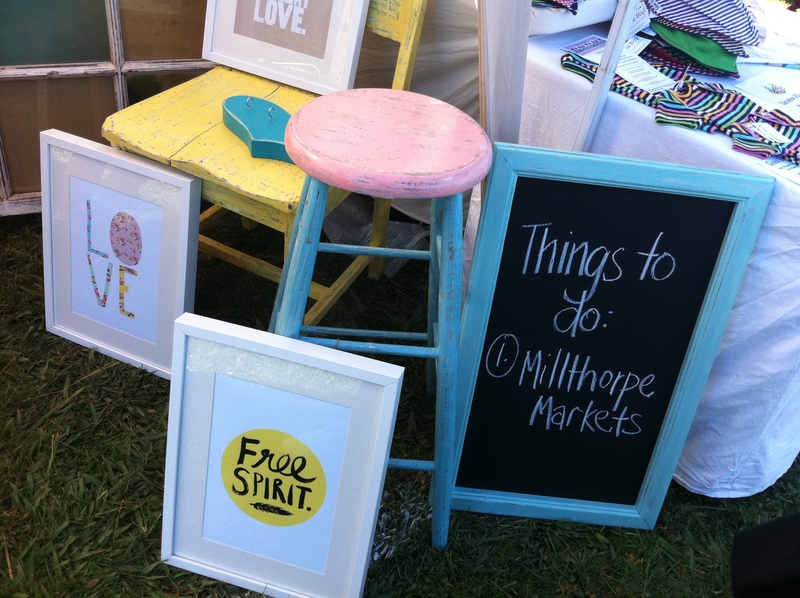 We then spent a couple of hours up the road at the Milthorpe Markets. Probably the biggest market in our region which is held twice a year. 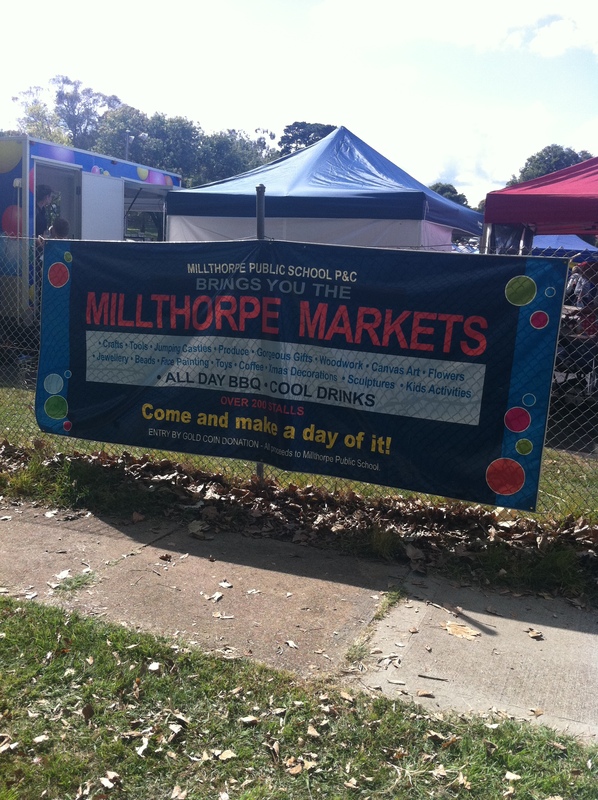 All of the proceeds go to local Milthorpe Public School and there is a great range of stalls, all 200+ of them. A great day out for all. Thankfully Michele and Andy from The Happy Chook Co had a stall there as we had run out of eggs after Day 5’s fritata and we could not go another week without eggs in the house. So as well as a few other nick nacks we came home with a dozen of the most amazing eggs. 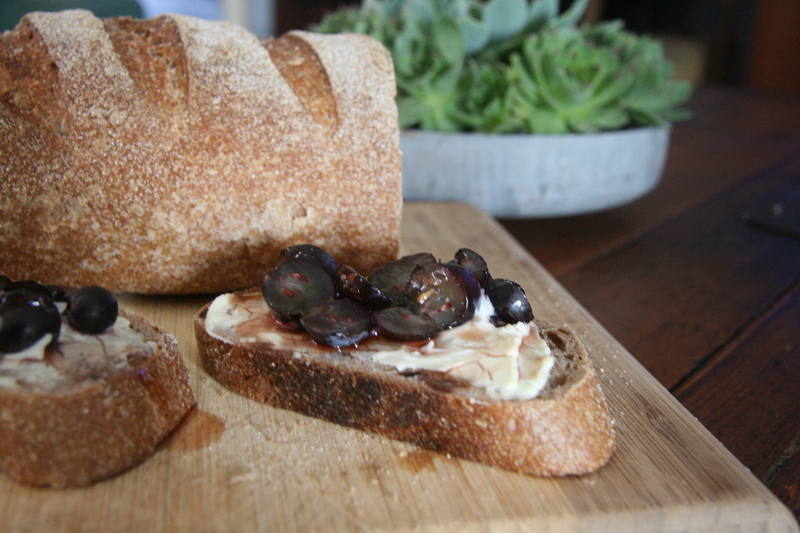 For lunch we had the sourdough from Racine with Jannei’s Fresh Curd with the left over of the muscatel grapes from our fruit and veggie box. Then once baked in the oven for about 5-10min we topped a bit of caramalised red wine vinegar. It was delicious. This was lunch and then again prepared for dinner. Next…….a wrap up of the week and how our challenge went!